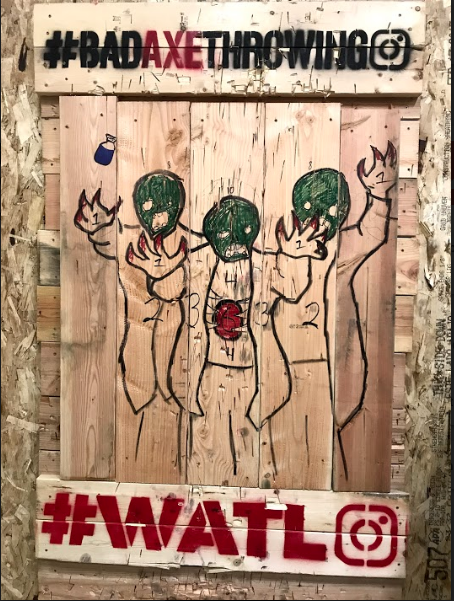 Bad Axe Throwing Indianapolis teamed up with the Bearded Villains community group to bring a safe and fun Halloween event for the whole family while donating proceeds to a charity for hurricane relief. We had over a ton of people come out to support Puerto Rico Hurricane relief. All while fighting off the Zombie infection in Indianapolis in the best and most fitting way possible….with AXES! So what we did was come up with a special game and targets just for this zombie slaying event which pitted humans up against the axe-ing dead! During the evening, we also hosted a costume contest, and raffles for many prizes. Including a donated beard care kit, t-shirts, gift cards for axe throwing and tickets to see the Backstreet Boys at Jingle Jam in Indianapolis! Money raised at the event will be used to to help Puerto Rico in this time of crisis following the wake of hurricane Maria. We’ll be donating to UNICEF which will be helping Puerto Rico with essential supplies. The supplies will help children and their families keep clean and healthy, protecting them from diseases that can occur after the loss of equipment and infrastructure and the disruption of a safe water supply. Often when people think of axe, they think of beards. For this charity event we knew we had to involve the Bearded Villains. They are an amazing community group of beard enthusiasts who help out those in need. This first team up with the Bearded Villains and first Halloween charity event was a great success. Make sure to practice that axe throwing though, because next year the zombie horde may right again! Feel free to reach out to us if you want to host a charity event or book an axe throwing event.